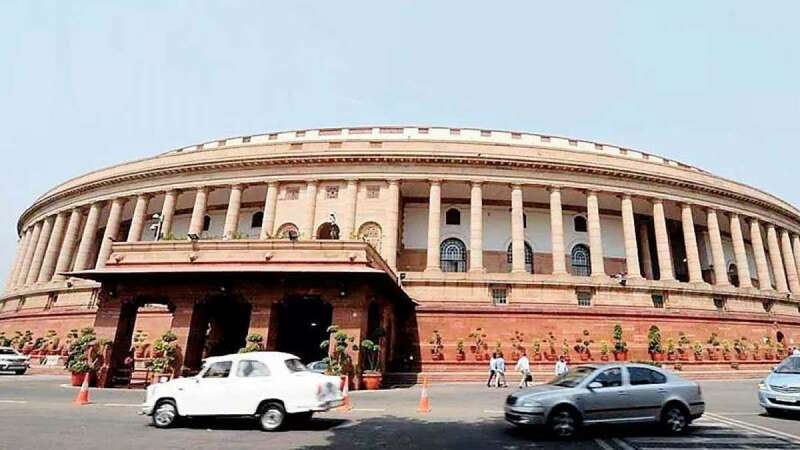 New Delhi : The countdown to elect the new Rajya Sabha Deputy Chairman began here on Monday as Chairman M. Venkaiah Naidu announced the dates for the likely contest between the ruling NDA and a united opposition. Janata Dal-United MP Harivansh is likely to be the NDA candidate while the opposition will be meeting on Tuesday to finalise its candidate. Talking to reporters, Harivansh said that he was the candidate of the ruling coalition. "I got to know through the media that I am NDA's candidate for the post of Deputy Chairman of the Rajya Sabha. I express my gratitude to the parties in the NDA. I am hopeful that I will succeed," he said. Asked about opposition planning to field a common candidate against him, he said that everyone has the right to fight election. Harivansh, a first-timer in the Upper House and a former Editor of Hindi daily Prabhat Khabar, said that there should be a consensus on high constitutional posts and urged opposition parties to work in that direction. Meanwhile, a meeting of opposition parties was held in the chamber of Leader of Opposition Ghulam Nabi Azad. They decided to meet again on Tuesday to finalise its candidate. The meeting was also attended by TDP, which had parted ways with the BJP earlier this year. Congress leaders Anand Sharma, Ahmed Patel and Kapil Sibal, Samajwadi Party's Ram Gopal Yadav, TMC's Derek O'Brien, BJP's Satish Chandra Misra, NCP's Praful Patel, RJD's Misa Bharti, DMK's Tiruchi Siva, CPI-M's T.K. Rangarajan, CPI's D. Raja and RSP's N.K. Premachandran also attended the meeting, besides TDP's C.M. Ramesh. Among the names doing the rounds as possible opposition candidates are NCP's Vandana Chavan and DMK's Tiruchi Siva. The election is likely to be a close affair as the opposition bloc has an edge over the BJP-led NDA in terms of numbers. The outcome will depend on the stance of parties such as BJD, AIADMK, Telangana Rashtra Samiti and YSRC Party -- which could ally with the government in certain situations. Opposition sources said that there were 35 "fence-sitters" and the outcome will depend on their stance. The two large parties in the upper house -- BJP and Congress -- were unlikely to put up any candidate. The parties which would support an opposition nominee include the Congress (50), TMC (14), SP (13), TDP (6), CPI-M (5), CPI (2), DMK (4), NCP (4), AAP (3), BSP (4), RJD (5), PDP (2), JD-S (1), Nominated (1), Kerala Congress-Mani (1) and IUML (1). Rajya Sabha Chairman M. Venkaiah Naidu had earlier announced that the new Rajya Sabha Deputy Chairman will be elected on August 9. The election will be held a day before the conclusion of the monsoon session of Parliament. Interestingly, Harivansh lost badly, getting just 26 votes on Monday in the balloting to fill two vacancies in the Public Accounts Committee (PAC). TDP's C.M. Ramesh got the highest 106 votes in the Rajya Sabha and was elected to the PAC. The Bharatiya Janata Party's Bhupender Yadav also made it to the Committee with 69 votes. Asked about his loss in PAC election, Harivansh said he fought it in his individual capacity. "I am NDA's candidate (Deputy Chairman) and there will be much more support," he said. The JD-U and BJP are partners in the ruling coalition in Bihar.